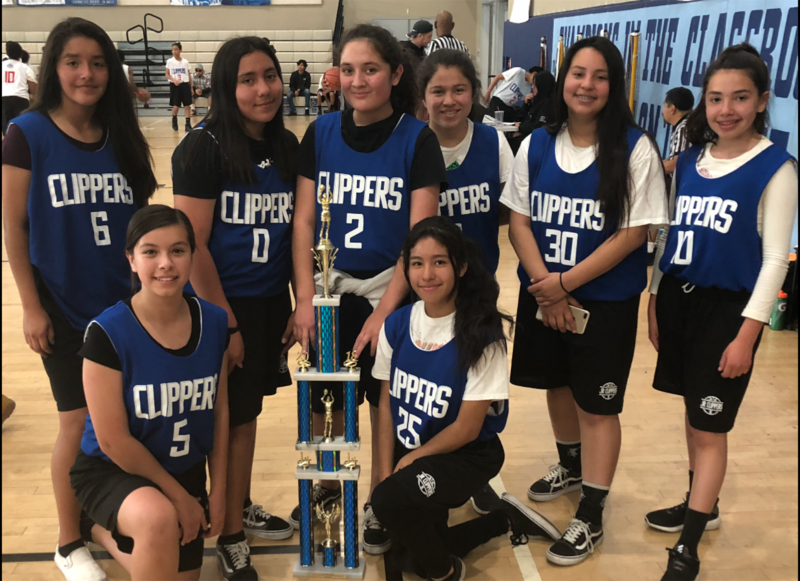 Bert Corona Charter School » Lady Knights Return with a Championship Trophy in Basketball! Lady Knights Return with a Championship! Lady Knights Return with a Championship Trophy in Basketball! The Youth Policy Institute hosted a basketball tournament at Felicitas and Gonzalo Mendez High School during the past two weeks. Our boys team fought hard to qualify for the next round, but fell short in their final regular game. The boys were still able to showcase their talents in the consolation games. With teamwork and a tough defense, our girls team made it to the championship game. The first half of the championship game was very close. In the second half, the girls buckled down and only allowed the other team 5 points and were able to pull away for a big lead to win! The girls are so excited to bring the championship trophy back to Bert Corona! you can see the trophy in the Main Office. Back To School Knight 2018!